Friday is upon us once more – and this week has seemed long! Is it just me or do you feel that way too? Oh well, on to the things on my mind this Friday…besides the weekend, ha-ha! One. Nice, France – What can I say…except that our world seems to be becoming a very scary place indeed. Having said that, I think we all have to remember that there is more love in this world than hate – somehow the strange and twisted news media seems more apt to share the hate – but love is still stronger. And we must keep living our lives without fear, because if we live in fear, the hate wins. Two. 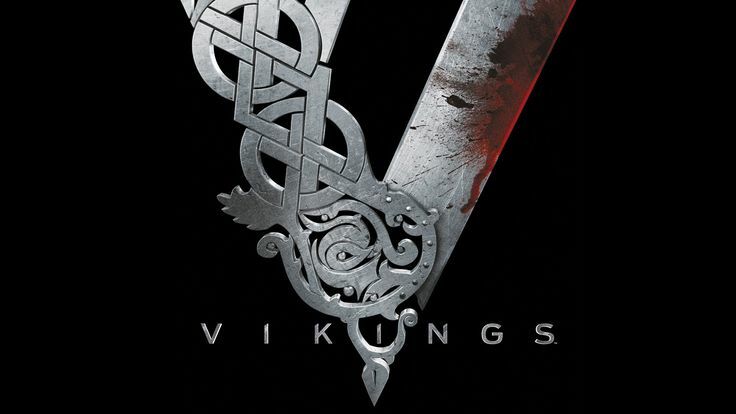 Vikings VS The Americans – I know…I know…what a thing to write about – can you tell this has been a slow week? 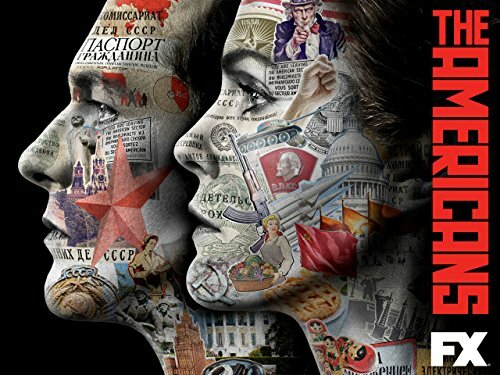 I have had people recommend Vikings to me but I see so many good things about The Americans and I cannot decide which I’d rather start watching! I’m a die hard fan of Game of Thrones, Outlander and House of Cards…all three of which are not on right now…but I can see that perhaps both of these options would be along the lines of shows I already watch and enjoy. So – any suggestions? Which should I check out first? Or do you have something else entirely? Three. Jennifer Aniston – I’m sure by now, if you’ve clicked on pretty much anything on the internet you’ve seen Jennifer Aniston’s frank write up on being fed up with the constant media attention on if she is/is not pregnant. I think what stood out most to me though was her comment on society’s determination of what makes a woman seem “valuable” – As an almost thirty-two year old that is single and childless, I certainly understand what she is saying. I have “friends” and; what’s even more hurtful, family who remind me with jokes and sometimes snide comments that I am still single and childless…some family members who can’t stop themselves from holding that over me. I love that Jennifer said this – that this truth was put out there by her; a person that is in the media because of her profession. Women are perfect just the way they are: no spouse or child makes a person anymore valuable and a woman is not “less” because she lacks a spouse or child. What happened to loving a person as they are; accepting and loving people for who they are in each moment? Such a wise response – please read it if you haven’t. You can find it here. Four. 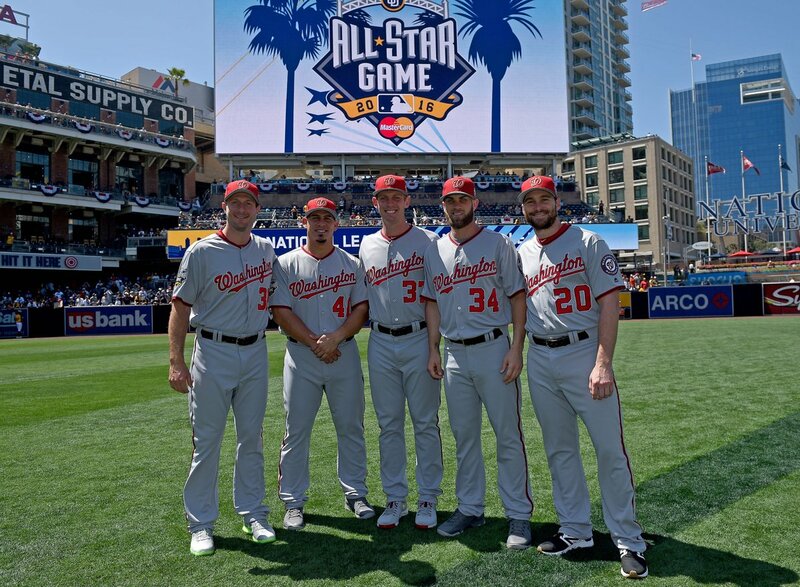 Nationals Baseball – This week was the All Star break and the Nationals sent a record five players to the All Star Game in San Diego: Bryce Harper, Daniel Murphy, Wilson Ramos, Max Scherzer and Stephen Strasburg! Four of the five guys played in the game; Strasburg was a bystander in an effort to remain healthy after just returning from the DL, but Max pitched an on fire sixth inning and Wilson caught for him, Bryce was a starter and got a nice double when it was his chance to bat and of course, Daniel Murphy got a hit…because when does Murphy not get a good hit? As much as I enjoyed watching the Home Run Derby and the All Star Game, I prefer to watch all of my Nationals play and I can’t wait for baseball to start up again tonight! Five. 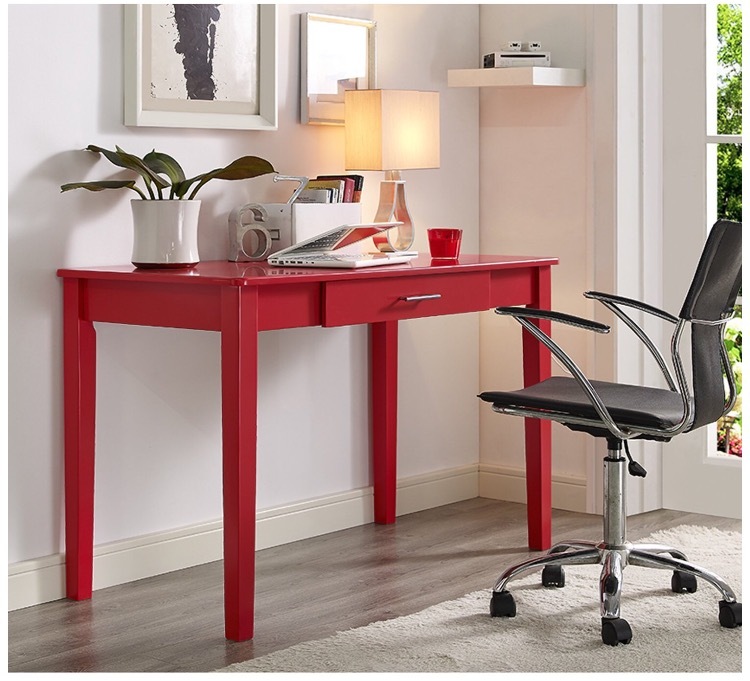 Furniture – Looking at the stuff has taken over my life! Ha-ha! 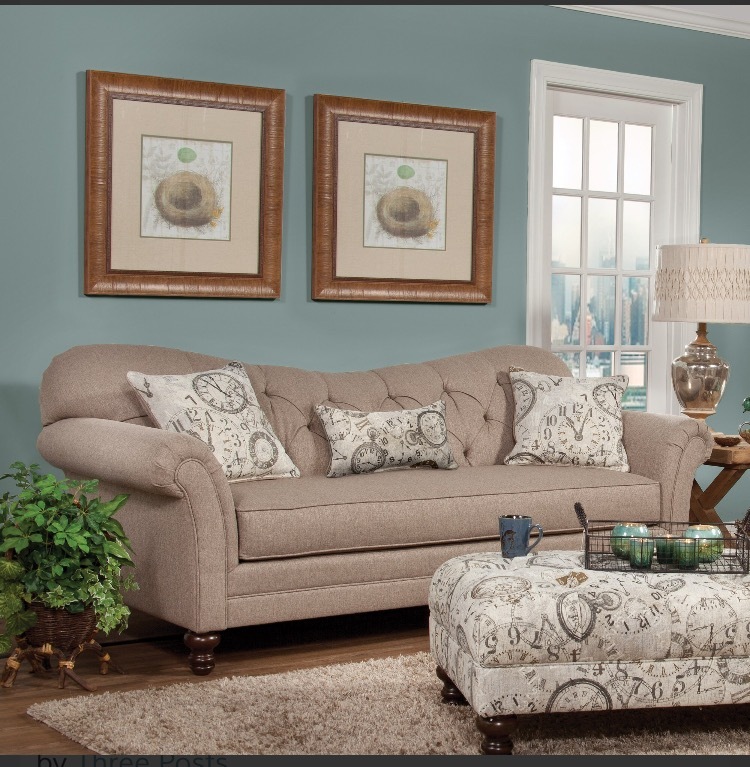 I’ll finally have my own apartment within the next 6-8 weeks and thinking about decorating and placing furniture has just completely taken over every aspect of my days! I have the vision in my head and now I’m working toward it’s completion… And I can’t wait! A couple of my ideas are below – feel free to tell me what you think! 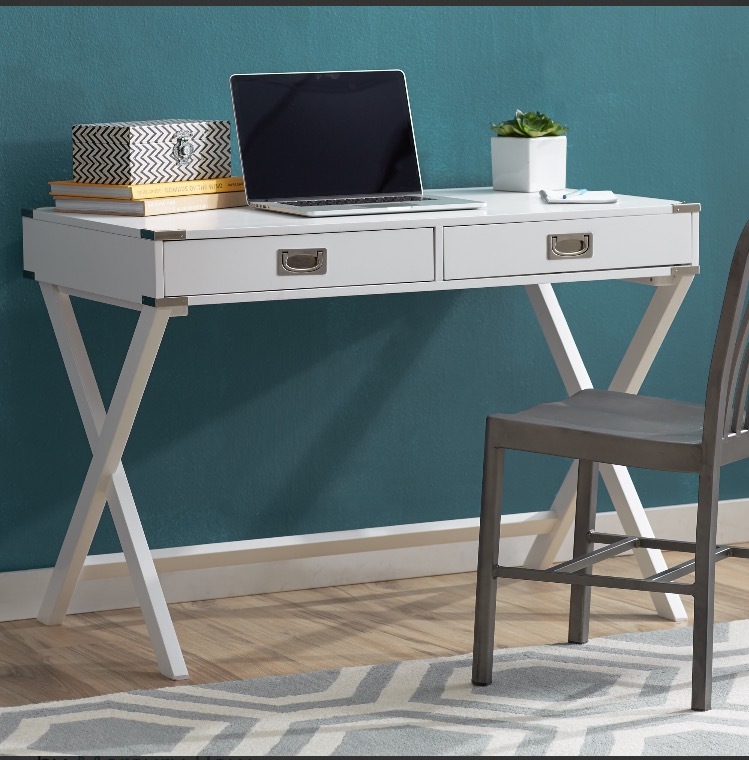 I’m in the market for a couch (in gray) and a desk (in red)…as well as a coffee table, but I haven’t really narrowed that one down quite yet! 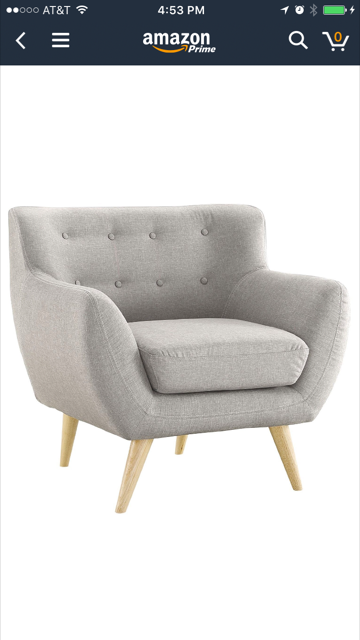 I definitely already bought this chair – for the bedroom! My husband and I looove The Americans! Thanks for the input Megan!